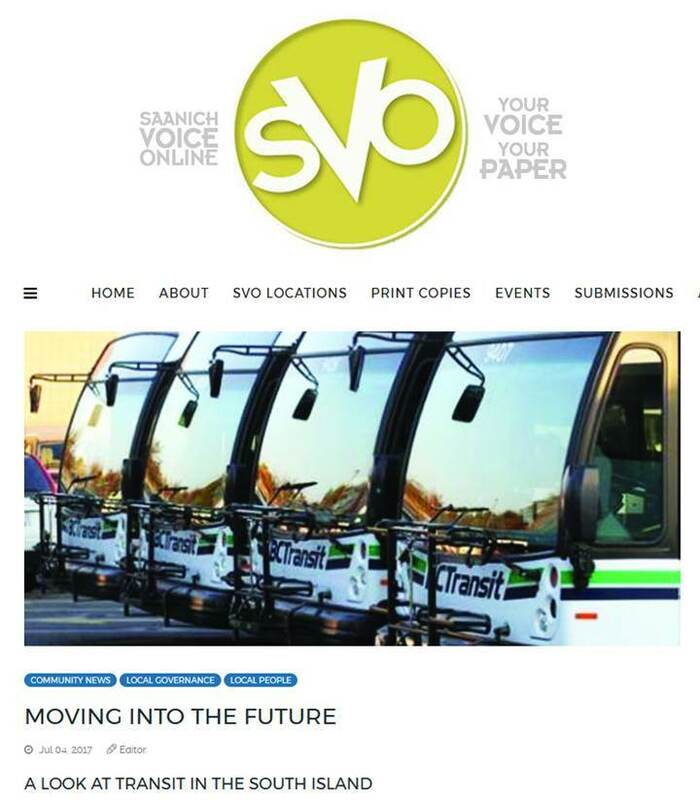 Last spring Saanich Peninsula Green Drinks hosted a presentation by Eric Doherty of the Better Transit Alliance of Greater Victoria around transit options for the region. The evening, hosted by Central Saanich Councillor Alicia Holman included a slide show followed by a lively discussion. Doherty’s presentation held the position that a community can’t build its way out of traffic congestion – growth supersedes road building and road building facilitates further growth. He suggested that, in the Southern Vancouver Island region, this was demonstrated by the road ‘improvements’ that took place to eliminate what is lovingly referred to as the Colwood Crawl – the traffic stand-still/crawl that happens on Hwy #1 and roads parallel to it heading into Victoria in the morning, and out again in the late afternoon . . .